We’re celebrating amphibians today! 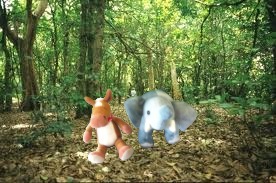 Our adventures are taking us the northwestern corner of the United States to find a salamander! You know we love our amphibian friends! Grab your gear and your wellies and let’s head out! MEET THE PACIFIC GIANT SALAMANDER! 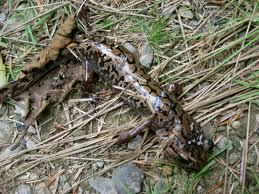 Giant Pacific Salamanders are nocturnal. They are usually found by streams. 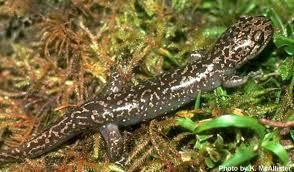 Giant pacific salamanders excrete mucus from their tail when threatened. 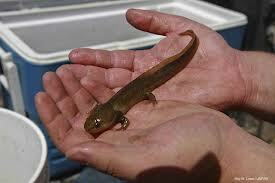 Giant pacific salamanders stay in their juvenile aquatic stage their whole life. They either become terrestrial or they stay aquatic with gills. Giant pacific salamanders are the largest terrestrial salamander in the world. These gorgeous salamanders can be over a foot long. How weird is that some of these salamanders stay in their aquatic stage their whole lives?